Elaine Anna Robbins Dietz, 94 of Benson, Arizona passed away on Saturday March 16, 2019. She was born on April 15, 1924 in Milton, Northumberland County, Pennsylvania. She was a daughter of John C. and Kathryn Arnold Robbins Sr.
Mrs. Dietz was a fun loving wife, mother, grandmother, homemaker and friend. She and her beloved husband Conrad made their home in Austintown, Ohio. After retirement they relocated to Florida and then later to Tennessee. In her later years she enjoyed traveling and her great-grandchildren. 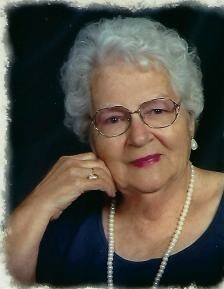 She was an active member of the Calvary Baptist Church in Benson. Mrs. Dietz is survived by her children Terry L. Dietz (Margaret), Aloma E. Avant and Jacqueline F. Dietz, Benson, two grandchildren Mark Dietz (Dawn) Searcy, Arkansas and Anna Henderson (Kenneth) Hendersonville, Tennesee; two sisters, Gloria Beishline, Wadena, Minnesota: Violet "Kay" Shutt, Minto, North Dakota. Also surviving are eight great-grandchildren, Rachel, Nicholas, Jack, Farrah, Taylor, Dillon, Ella and Owen. She is preceded in death by her husband Conrad, and three brothers, John, Robert and William Robbins. The Family extends a special Thank You to TMC Hospice and the Benson Hospital for Elaine's loving care.